Happy Friday Everyone! I don’t think that there could be any better way to kick off the weekend than by sharing the awesome engagement session of an awesome couple!!! 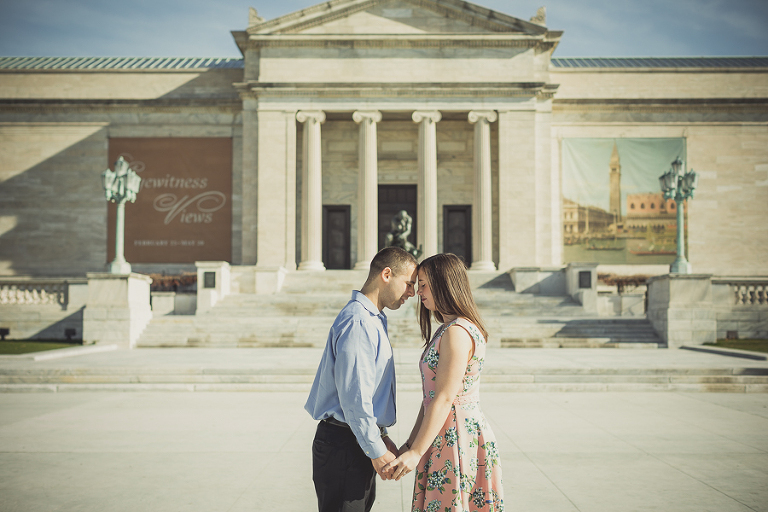 We had such a fantastic morning photographing Stacey and George’s engagement session at the Cleveland Art Museum this past weekend. It was the first day that the sun had been out in what seemed like FOREVER and the weather was absolutely perfect for being outdoors! This adorable couple will be getting married later this year in mid-September and we couldn’t be more excited to be working with these two. It is so obvious that they are an ideal match for one another. They are both ridiculously funny and easy going: they laugh at everything and really enjoy poking fun at one another! Let’s just say that trying to pull off “serious face” shots was not easily executed. Lol!!! LOVE IT!!! Although at first it may seem as if the connection that Stacey and George share revolves solely around silliness, the longer you are with them the more you can sense the deep and honest love that they have for one another. It was the genuine respect and adoration that they share for each other that really made this photo shoot an enjoyable experience to document. 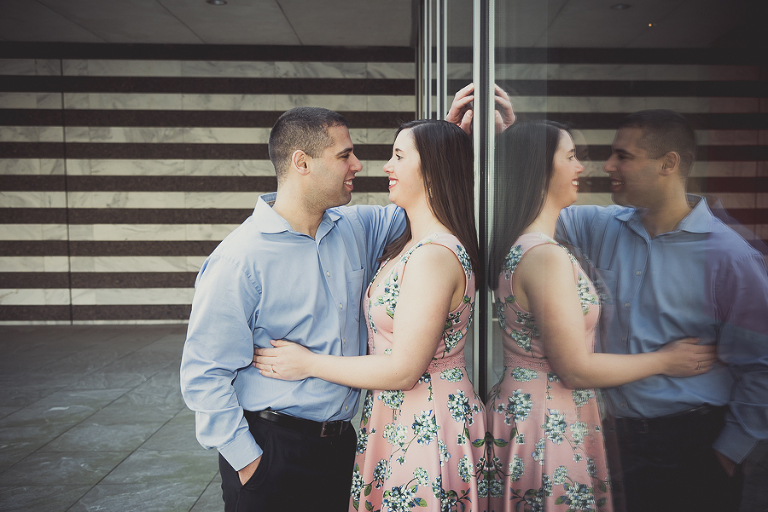 Stacey and George, it has been such a blast working with you thus far and we cannot tell you how excited we are to be working with the two of you on your wedding day! We hope that you LOVE these favorites from your engagement session as much as we do!